The Nylon Gene: Men's Legwear/Mantyhose Blogsite The Nylon Gene: What IS 'Nylon Gene'? The origin of the name of our blog... Some time back, the founder of ActivSkin, Steve Katz, wrote at length on "The Nylon Gene" for the benefit of Geraden's Legwear Blog . As this is the phrase from which this blog takes it's name, I thought those readers who have not had the opportunity might enjoy reading it. There’s probably no way to prove or disprove the first question, but like personal tastes in food, music, or literature, people are different. There’s an old joke that there are two kinds of people in the world: those who divide the world into two kinds of people and those who don’t. For the benefit of the first group, we joke that there are two kinds of people in the world: those with the “nylon gene” and those without. Now as far as science has told us, the gene doesn’t really exist of course, and in fact we don’t even know if the love of wearing legwear is hereditary, but it’s a good way to characterize people who like wearing legwear, and have a little fun with it along the way. It’s a way of explaining the enjoyment we feel when we wear tights ourselves or see others wearing them. Those of us who have the 'nylon gene', which is probably most of the people visiting [Geraden's] web site, enjoy the tactile sensation of soft fabrics like silk, nylon, and satin. Those who don’t have 'the gene' are perfectly comfortable with cotton, linen, polyester, and wool. For women, it’s no worries. They can wear either kinds of fabric with no concern from anyone. For men it can be problematic. Men are supposed to be tough and macho in western society, so they are programmed in their early life not to have a softer side; and they definitely aren’t supposed to like softer, silky fabrics. And yet, many do. Perhaps in secret, perhaps openly, but they do. Men have, in fact, established a limited beachhead on this side of the 'fabric boundary'. Some guys have taken to silk boxers and bathrobes, and nylon athletic apparel, underwear, and dress socks, for example. These products have been marketed to men for a long enough time to become acceptable. The problem for many with the 'nylon gene' is that they want to move into territory traditionally reserved for women--at least in recent history. Namely tights (both sheer and opaque). Keep in mind however, that tights for men are nothing new. They were popular in Spain in the 1500s and the fashion was imported to England. Men wore cotton or silk hosiery to show off their legs and to keep warm. Women never showed off their legs until the 20th Century. So upon closer examination, we see that tights were strictly a male fashion for three centuries, until Victorian fashion changes put men into trousers and somber colors for the next two centuries. When women did start showing their legs, hosiery fulfilled the same function it once had for men--it was made to be seen. Cotton, silk, and later nylon were fabrics of choice. Stockings were held up by garters until the invention of full-length sheer nylon tights in America in the late 1950s. Since men's legs were almost never seen at the time--keep in mind that men of that era hardly ever wore short pants--they were considered a women-only garment until the end of the 20th Century. Socially they were off-limits to men completely. Only cross-dressers and fetishists violated these social constricts, and this was kept hidden from public view. It's no wonder that tights for men had taken on such a negative connotation by this time. However, a curious thing has happened in the past 10 years or so. Men who have this 'nylon gene' and secretly wore tights for 'legitimate' reasons have started to come out in the open with it. Assisted by companies such as ours who began actively marketing tights for men, and the many advocacy websites, online support groups--and blogs such as this one, men have discovered they are far from alone. There were literally thousands of others who had once been wearing women’s hosiery secretly and enjoying it all along. They were wearing for all sorts of reasons. Many discovered the valuable benefits of nylon hosiery that we now tout on our ActivSkin website. 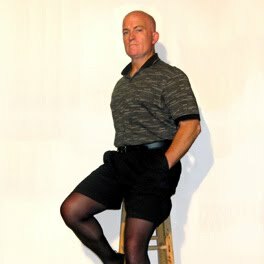 Benefits like warmth without the bulk of thermal underwear; compression to energize muscles; improved blood flow; fatigue prevention; help with prevention of DVT; protection from insects or chafing from wool pants; and many other reasons not at all associated with cross-dressing or fetish wearing. How is this received by wives and girlfriends? As time goes by many men have tried wearing tights and just decided they are comfortable. Not every male who wears tights has come out in the open about it. Many who would otherwise do so have experienced resistance from their wives or girlfriends, who are reluctant to support, or actively discourage it. There are probably as many reasons for this as there are relationships. One of the most common reasons may be early programming. Because of the era they have grown up in, many women are 'programmed' to think of nylon legwear strictly in terms of women's wear. The idea of their man wearing this item of clothing can't help but bring up suspicions of cross-dressing in her mind. Her guy may even have made the mistake of wearing them in a romantic setting--thereby cementing in her mind that his purpose for wearing them must ulteriorly have some sexual overtone to it. He knows that he wears them for comfort, warmth, compression, or other 'legitimate' reasons, but she still views them through the eyes of her early programming. So it's no wonder that she may actually be OK with her man wearing hosiery in private, but is horrified at the thought of him wearing them in public. Her friends and relatives might see and secretly think how 'perverted' (or at least odd) her man is. Most women in this situation may not have been exposed to much of the media attention that has only recently begun to reach a larger percentage of the population. They most likely have not visited any of the advocacy websites or our ActivSkin site either. Nor have her friends and relatives in all liklihood. There is a good probability that she has no idea that there are thousands and thousands of other men in the world who wear for what we might call 'mainstream' reasons. Her horizons may be very limited and her reaction is thus quite understandable. To make matters worse, if she is among the "I hate pantyhose" crowd herself then she just won't 'get it' that her guy's reason for wearing them could actually be that he LIKES it. She tends to consider them to be hot, constraining, or just plain uncomfortable. Since this is probably a result of purchasing cheap, improperly sized hosiery herself, she won't have any realization that quality legwear that fits can be quite comfortable. A guy may have started off on the wrong foot and now he doesn't have a leg to stand on (no puns intended, of course). Reversing the programming and undoing years of reinforcement may be very difficult. There are no secret formulae that are guaranteed to work successfully. Communications and compromise offer the best hope, but no guarantees. Women need to be reminded that for them, wearing hosiery is primarily for appearance and fashion, whereas for most men, it’s primarily for comfort and/or the benefits enumerated above. It’s difficult for many women to accept and really understand this difference. If a man likes to see his woman in hosiery, finds her appearance pleasing, and compliments her, the association between legwear and appearance is reinforced. If she herself doesn’t find wearing hosiery to be comfortable, how can she possibly understand or appreciate her man’s claim of why he wants to wear it? Sometimes it takes some observational evidence to begin the change of heart and mind necessary for wives and girlfriends to consider their guy's legwear in a new light. It's ironic that many women don't think negatively of the idea of men in general wearing legwear. It's when it comes to their guy wearing it that the problems arise. The reaction seems to be centered around fear of what others will think of their guy--and by extension, them. Most likely when a guy is wearing hosiery that can be seen (i.e., with shorts), one of two reactions can be expected from people he meets out in public. Either they don't even notice in the first place. Or, they notice briefly before proceeded with what they were doing. In that case, thoughts usually don't translate into words and people generally assume there must be some legitimate reason this person is wearing hosiery. 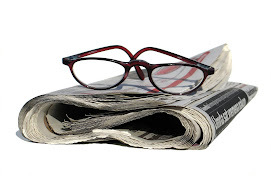 Although media attention has not become pervasive on this matter, there has been enough that people's first reaction to a stranger wearing hosiery no longer runs first to cross-dressing or fetishim. We hope that our efforts at ActivSkin and The Nylon Gene--along with the many others out there with the same goals--will soon change this for the better.